Are we slowly edging towards another war over oil? Thirty years after Britain and Argentina last went to war over the Falklands, the diplomatic stakes are rising rapidly. This could just be a great game of diplomatic brinkmanship where neither side really wants a repeat of the conflict from decades ago. However this time at stake is not just the sovereignty of the islands but the reported large oil reserves that lie deep under the island’s waters. For now tensions are rising. Last Friday, Argentina’s government lodged a formal protest at the United Nations over what it calls Britain’s “militarization” of the disputed Islands. Argentinian Foreign Minister Héctor Marcos Timerman met several key UN officials including the UN secretary-general, the president of the Security Council and president of the General Assembly to present his complaint. After his meeting, the UN Secretary-General Ban Ki Moon urged Argentina and Britain to “avoid an escalation” in the “increasingly fierce verbal crossfire” between the two countries. Meanwhile, Timerman told reporters that Britain has increased its naval power in the South Atlantic “four-fold,” recently, including warships, fighter jets and a nuclear submarine. If such a submarine has been deployed it would violate Latin America’s status as a nuclear weapons free-zone, argues Timerman. What has changed since the last conflict is the islands have become one of the potential hotspots of frontier oil exploration. Oil is now at the centre of the diplomatic row. And it looks set to get worse. A study to be handed to the UK Government this week could further escalate the conflict by arguing that if all four oil and gas projects that are currently being explored were successful the potential tax riches are likely to reach just under $180bn. 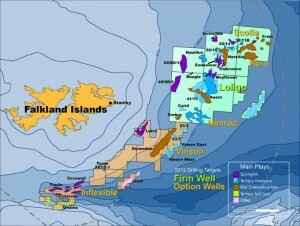 The report by oil and gas analysts at Edison Investment Research predicts the waters off the islands hold billions of barrels of oil. The largest, Loligo, potentially holds in excess of 4.7bn barrels of oil. 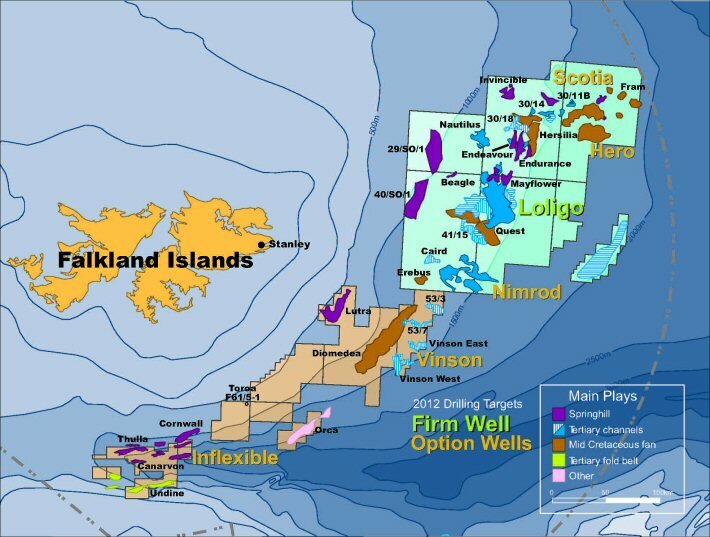 By comparison Catcher, the biggest discovery in the British North Sea of the past 11 years, is believed to hold only 300m barrels. Meanwhile the majority of Britons now think the dispute over the Falklands is more about oil than the rights of the islanders, but also agree that potential oil makes them worth defending. A poll conducted last week revealed that 53% of those asked thought the UK and Argentinian governments were more concerned about securing the rights to oil than the islands themselves. The time has come to show the entire world how such a problem can be solved by diplomatic means. Like the shares system; divided properly and accordingly to the amount of participation by each nation. The success of this operation can very well lead to similar solutions around the world thus avoiding painful wars.